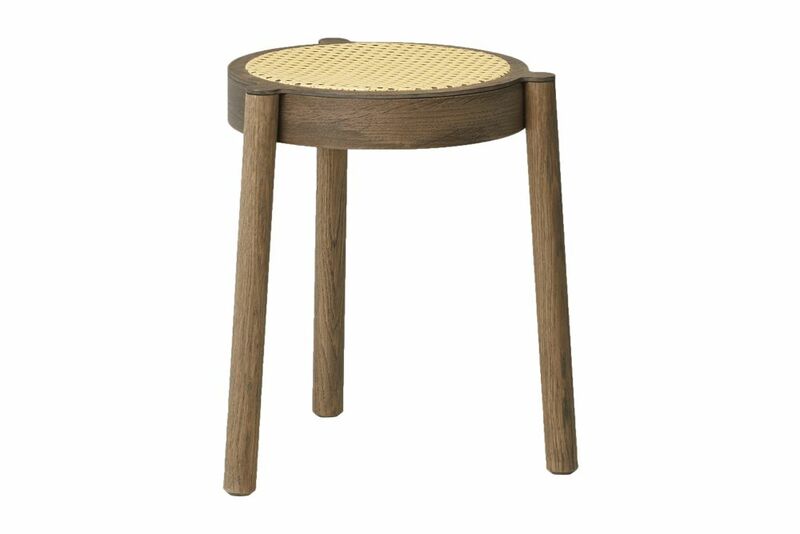 This three-legged stool is crafted in oak and fitted with a choice of seats. The wicker seat is woven from natural reed fibres and integrated into the frame to sit level with the surface. The solid oak version has a smooth disc in the frame that forms a solid seat. Both versions are available in oiled oak or smoked oak, providing a choice of blond wood or dark wood. Part of the stool’s character is formed by the relationship between natural materials and craft techniques, which make each stool one-of-a-kind. The legs rise to the full height of the seat, creating a simple, yet striking, profile as they sit alongside the frame rather than underneath it. Lightweight, stackable and easy to store, Pal is always available when additional seating is required. Born in Finland, but based in Gothenburg, Sweden, Sami is a furniture designer and an interior architect. Sami’s work is deeply rooted in the Scandinavian tradition and his designs have a strong craft signature. Sami’s designs are characterised by clean lines, pure forms and unblemished surfaces, and typically combine the natural with the manmade. Sami has an instinctive feeling for handling a wide range of natural materials, but his talent for working with wood sets him apart from other craftsmen. The stackable seat he designed for Northern demonstrates a mastery over materials, carpentry techniques, function and form. There is an element of emotional intelligence in Sami’s work that imbues his designs with feeling. Sami’s furniture resonates with the contentment and reassurance that only natural materials can convey.